With Whatuni app it's never been easier to find your future. 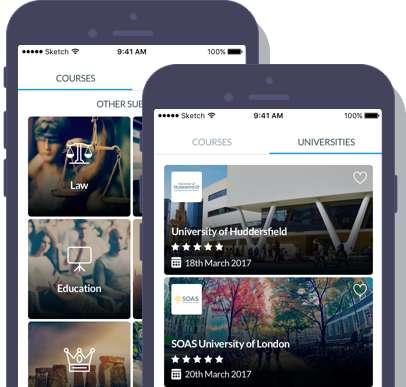 Whether you can't decide on what to study or you're struggling to pick a perfect location, our app can help! Find the best route to your dream job. Perfect if you have a specific career in mind but don't know how to get there. What did students with the same A-levels as you go on to do? Great inspiration if you're struggling to choose a course! Find open days and save them to your calendar. This section will help you plan visits to different unis. Got a uni you like the sound of? Don't forget to order the prospectus!